Added on April 14, 2019 by Kym Maxwell. A Wharfie’s Story - play, protest, consequence publishes for the first time the research materials, photographs, drawings, writings, and documents produced and gathered during the making of multifaceted art project A Wharfie's Story (2015). At the project's heart was the development of an original theatrical work co-created by myself, as a performing arts teacher, and students aged eight to ten years, as part of the Reggio Emilia-inspired curriculum at Collingwood College, a P-12 school in inner-city Melbourne. The work included a free, outdoor, twelve-act performance, as well as a script, two subsequent exhibitions authored by myself, drawings and diagrams, research documentation and this book, which reflects on the various elements of the project as a whole. A Wharfie's Story is based on Jim Beggs and his wife Tui's true-life tale of perseverance and hardship as a wharfie and trade union family. Focused around the fight for fair work conditions on Melbourne's North Wharf from the 1950s to the 1970s, the play focused on Beggs's struggle to move from the corrupt bull system--where workers were hired on a daily basis at a central pick-up point--to become an independent unionist and negotiate fair work for wharfies. As the educator and therefore curriculum builder, Maxwell worked with forty-three students over two terms at Collingwood College to develop the play as part of the performing arts curriculum. Along with a school performance in the gym (20 November 2015), the main presentation was an hour-long performance on the lawn of Buluk Park--in front of Library at The Dock on Melbourne's North Wharf--on a warm and windy summer day (21 November 2015). The public space was transformed into a theatrical platform, juxtaposing the historic tale of the wharf against the site's contemporary 21st century interface. Jim Beggs himself introduced the performance to an audience of families and historians, who applauded the students upon conclusion. This publication is wide-ranging, as befits the project it is based on. The book is divided into six texts, creative responses, a script and images both historical and contemporary, offering a combination of documentation, reflection and analysis. These texts include an interview with Jim and Tui Beggs; a transcript of Jim Beggs's speech; a self-interview; pedagogue and curator Rosemary Forde's reflection on the exhibition storyboard poetics and pedagogic projects; pedagogue and artist Lisa Radford's personal 'Dear Kym'; as well as responses by the students and families involved in the project. The publication also documents the students' work and the two offshoot exhibitions created, Learning Labour (Monash University's MFA Show, Melbourne, 2017) and storyboard poetics and pedagogic process (West Space Gallery, Melbourne, 2017). The titles of the image chapters correspond both to the stages of the project itself and to the content on which it is based: History, Backstory; Organise, Pedagogical Dialogue; Resist, Establish, Set; and Exhibit, Respond. The Consequence seeks to reveal the story of the production; the people, the institutions and the exhibitions involved. Positioning the documenting artifacts within the territory of socially-engaged art-as-document, it explores the key pedagogic and practical concerns of a practice-based research that depends on, and works within, an educational setting. What is at risk when a pedagogic project is made public? What happens when the lines between teacher and artist, education and art object, become blurred? What are the politics of this kind of artistic production? The Turn, Exhibition with Ali McCann, Incinerator Gallery, 182 Holmes Road, Aberfeldie, Moonee Ponds, Vic 3040. The Turn is a collaborative inter-disciplinary installation by Melbourne based artists and educators, Kym Maxwell and Ali McCann. The works are a culmination of verbal and visual exchanges between the artists over a three month period, which traversed ideas surrounding institutional interiors and exteriors, Australian educational theories and the functions and failures of teaching and learning. The project is informed by a shared interest in the progressive educational reform in the 1970s and the educational turn proposed by contemporary theorist, Irit Rogoff (2007). Utilising their respective artistic practices as points of departure; strategic placements of photographs, found objects, and furniture reference an imagined psychological landscape representing the personal and collective educational experience. Friday March 29th, I will be leading a discussion Victoria Secondary College School of Art regarding the ethics of pedagogic work and social engaged art as a practice at MUMA from 10-11am. We will explore the framing of acknowledgements and whose voice is primed within the show and works. What are the biases and how this can be addressed. I will be discussing the missing voices and works not included in the exhibition component, Objects of Longing at Monash University Museum of Art. This is an invitation only discussion led by Harvard Educator and cognitive theorist Flossie Chua. The performance (culmination of 9 months of research) Objects Are A Limbic System Embrace Their Logic will be performed at MUMA Saturday February 23rd. Free event. Furniture supplied by the amazing VEF furniture. For further details Please note location and directions here. Added on November 23, 2018 by Kym Maxwell. Added on November 22, 2018 by Kym Maxwell. Throughout much of this year, contemporary artist Kym Maxwell has undertaken a residency at Dandenong Primary School to develop a multidisciplinary art project titled Objects of Longing. Students and staff at the school have participated in the project through an extended investigation focussed on ideas related to play, collecting and cultural production. The project has included class excursions to Monash University Museum of Art (MUMA) where students had the opportunity to go ‘behind-the-scenes’ at the museum to learn about what museums collect and why. Following this, a series of weekly workshops were held at the school with Kym and other artists to develop a theatrical work. Throughout, students engaged in research, script writing, sound, prop, set design and construction. 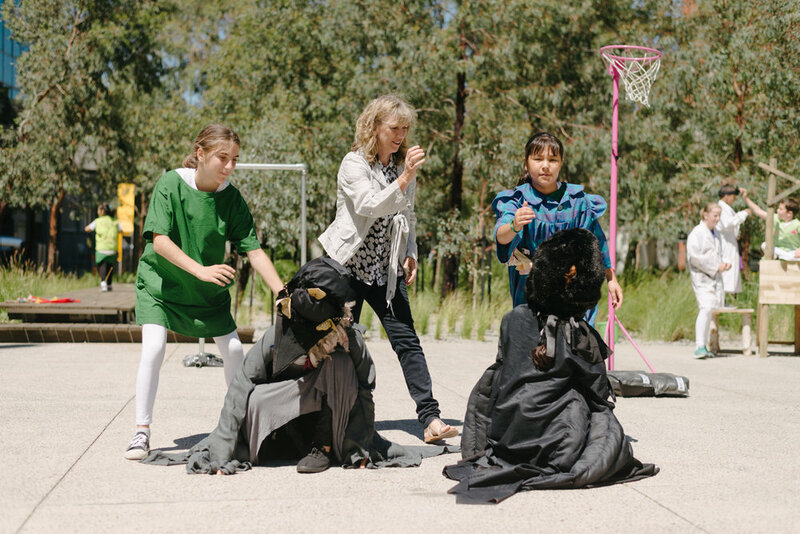 Objects of Longing will culminate in a suite of live performances/exhibitions at multiple venues including Dandenong Primary School, Harmony Square and MUMA. The first of these live performances takes place on Thursday 6th December from 5:30pm in DPS’s school hall. Please come along to enjoy what promises to be an exciting performance by children from Dandenong Primary School. 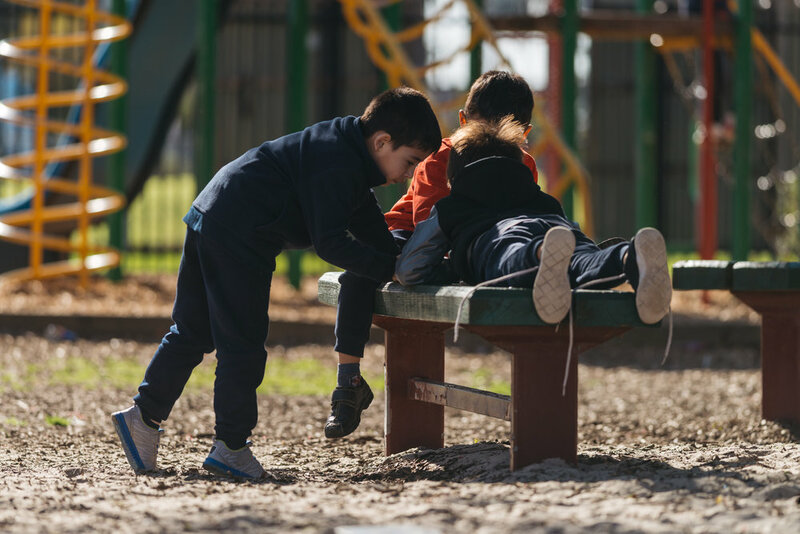 This project is funded by Creative Victoria through their Creative Learning Partnerships: School Residency Program in association with MUMA and Dandenong Primary School. Added on April 21, 2017 by Kym Maxwell. Videos to be screened as part of a respective of 1990's Australian Art shall include five works from the New Model Collection of La La Hi Prism. This was a contemporary video art label I established and ran in 1999-2001 dealing with limited edition video works by Australia's eminent video artists at that time. Sadly, the Electra and New Stylee Collections will not be screened, but I hope to find a chance for their reprisal in additional collections, or via a screening in another institution or museum. It would be wonderful if the NGV collect the important series of LLHP video works, as it a great compendium of Australian Video art and artists from the late 1990's early 2000's. Added on March 30, 2017 by Kym Maxwell. Informal Learning is defined in this case as the type of learning that happens inside an institute that’s not explicitly taught. Rather, it is the learning that happens through social interaction, shared interests and fostering community. From April 5-13 for 7 days, Maxwell will invite students’ affiliated to the Student Union as directors, presidents and organisers of Melbourne University’s Club and Departments to respond to the provocation; What informal learning do their members engage in? How does fun factor into formal learning? What gaps are there within discipline-based curriculums that ‘Club’ type networks provide? The main gallery of George Paton will be activated to engage with the Clubs and Departments of Union House as they take over the gallery site. In addition, Maxwell will do a field study of Union House and detail its autonomy as an open site for informal activity and performance that in character is self-directed. Wednesday April 12th Melbourne Universities, Electrical Engineers Club (MUEEC) will present their live robots for interaction and discussion, along with the closing event presentation. A Closing Night celebration of the outcomes of the research will be presented, April 12th from 5-7pm. All Welcome! Added on April 1, 2016 by Kym Maxwell. Term 2: This introductory series of workshops will establish the makings of a unique child centered theatre group. This group will meet on an ongoing basis to develop a framework for continued sonic, video, sculptural and/or movement based works and interventions. The process will be active and thinking focused with an aim to complete a theatrical work in 2016. An emphasis is placed on understanding one another as part of the process. For children aged between 8 to 13 years. Added on February 4, 2016 by Kym Maxwell. Tonight the wonderful website http://www.parentingispolitical.com was launched at Bus Projects. Designed by Rob Janes with the assistance of Ziga Testen, this website explores the unstable territory of parenting and its politic. The online component accompanies the exhibition of my own chalkboard drawings at Bus Projects to include a discussion of how care labour transgresses fields of management and governance. The contributors include Peter Tyndall, Anastasia Klose, Aurelia Guo and Angela Brennan [whom also presents an accompanying painting, in gallery 'Self-portrait (1998)] extends the conversation of parenting as a non exclusive condition, not solely occupied by a mother and/or father. A caring relationship can also be demonstrated through inclusive frameworks of animal, elderly, plant and corporation rearing. This website is the establishment of an on-going research into this stem concept. Added on January 21, 2016 by Kym Maxwell. Please join Tai Snaith and guests, Eugenia Lim, Kym Maxwell and Jo Scicluna, for a drink and discussion surrounding Snaith’s current exhibition, ‘Work-life Balance’ at The Other Side. Forum 011 will be conversational in nature and governed by the broader themes informing Snaith’s ‘portrayals’ of each staff member at Paul Morgan Architects: exploring the notion of 'site' garnered through a process of exchange, sustaining one’s creative practice upon becoming a parent, interpreting this ‘juggling’ as a feminist practice and determining when it is (and isn't) acceptable to allow life to bleed into art. Eugenia Lim is an Australian artist who works across video, performance and installation. Interested in how nationalism and stereotypes are formed, Lim invents personas to explore the tensions of an individual within society. Lim’s work has been exhibited internationally including the Tate Modern, GOMA, ACMI, HUN Gallery NY, and FACT Liverpool. Kym Maxwell is an artist, curator, educator and writer whose work within and across these distinct fields investigates notions of education and social spaces. She explores risk adversity, play paradigms and relational aesthetics. Maxwell’s practice explores the types of interpersonal relationships generated in new situations such as socially engaged art activities and curation. This series of artists’ forums are intended as an opportunity for professional development for each exhibiting artist. These discussions, focusing on spatial dialogue, are directed towards creative practitioners across the art, craft and design communities. The Other Side is a practice-led exhibiting space. Situated in the entry foyer of Paul Morgan Architect’s Design Studio, its primary aim is to establish an art and architecture dialogue and a forum for the exchange of ideas. The space also aims to introduce the work of artists to architectural clients. The Other Side is a non-commercial initiative, where all sales generated go directly to each artist. Added on January 20, 2016 by Kym Maxwell. In 2 weeks Parenting is Political my first solo show this year, opens February 3rd. I am very excited by the website, which is to be designed by Ziga Testen and his colleague. It includes contributions by Aurelia Guo, Anastasia Klose, Angela Brennan and Peter Tyndall. x for more details look here. Added on November 2, 2015 by Kym Maxwell. A Wharfie’s Story is a collaboration between the Collingwood College Theatre Troupe and artists Kym Maxwell, Gerard Van Dyke and Joel Stern. The project is inspired by the autobiography Proud to be a Wharfie by Jim Beggs (2013), a story that traces Beggs life on the Docks as a worker and unionist. The students present their interpretation of wharfi labour and integrity through action and voice ith feedback from choreographer Gerard Van Dyke, and ive sound performance developed with Joel Stern. The site specific show brings attention to the changing conditions of labour and workers’ rights at the Docks based on Jim Begg’s time there from the 1950’s. Even though 90% of the world’s trade travels via the ocean, the wharfies’ world and stories are somehow invisible. This project has been supported by Council’s Small Project Grants Program. Added on September 22, 2015 by Kym Maxwell. 'Nasa and Moonglow' will be presented at the Channels Festival, Video Visions program Friday September 25th at ACMI from 7:30pm. This four minute video was developed in conversation with Claire Lambe appropriates the pre-code film 'Just Call Me Savage' (1932), starring 'IT' girl Clara Bow. The footage accentuates the unusual behaviours and dialogue of characters Nasaand Moonglow and utilises simple double screen editing techniques to draw attention to Nasa and actress Clara Bow and she performs a hysterical overwhelmed state. Within the context of feminist critique her rage offers the vice of ownership over hysteria in light of the provocations of her father and Moonglow the male victim of her juvenile behaviour. Friday September 18th I will be discussing the works produced with the Collingwood College Sound Collective. I will discuss Process, Pedagogy and Technocracy within education and the place of sound education within the curriculum. I hope you can make it. Artists Joe Hamilton, Kym Maxwell, Sabina Maselli and Jessie Scott reflect on the evolution of video art and ponder its digital future. Part of the Provocation Series, held at ACMI in the CBD and Grey Gardens Projects in Fitzroy, these talks and forums seek to move beyond representations or definitions of video art, and to understand where the medium of video is headed and interpret digital culture’s rapid progression. Added on August 25, 2015 by Kym Maxwell. Liquid Architecture: In conjunction with program, What Would A Feminist Methodology Sound Like? 'Embodied Sound’ is a metaphor for the ways in which children experience their world though listening. The students of Collingwood College working with Kym Maxwell and Clare Cooper were asked to consider how they ‘embody’ sound through listening. To question what they hear and conceptualise it through instrumental resonance. They were asked to consider the contradictions in sound such as those found in film and Foley techniques and to consider possible gender associations of particular strength to instruments and/or imagery. Added on August 9, 2015 by Kym Maxwell. ‘If Transmission Were Material’ is Kym Maxwell’s solo exhibition presenting her select V8 and mini 8 video dairies from 1994-2001. As a multi disciplinary artist Kym Maxwell’s work traverses social strategy, installation, immersion and interaction, engaging with a wide variety of audiences and communities. In this exhibition Maxwell explores her earliest video diaries and ponders their relevance today, post-internet and how they may perform like social media as deliberations on issues surrounding identity, belonging, artistic indexing and proposition. This video installation posits ‘Is Transmission Material?’… Then if so, how may it manifest through medium through accentuation and through technocracy? Was video in the 1990’s the medium of self-discovery, identity and social status? Presented in loop on analogue TV screens and DVD media players the installation presents Maxwell’s video diaries from her first purchase of a video camera in 1994 detailing her benign and fraught experiences living abroad and her development of an Australian 20 something lifestyle which involved awkward recordings of social exchanges. This her meta-narrative pre-internet assists in defining Maxwell’s early artistic interest in the ‘experience economy,’ and thus related social negotiations.